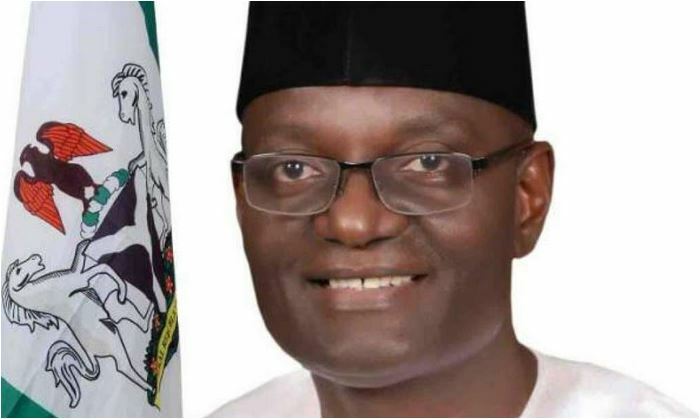 Controversy has now hit the All Progressives Congress, APC, in Benue State over the choice of Emmanuel Jime’s running mate. Jime recently emerged as the party’s governorship candidate in the just concluded primaries in the state. It was gathered that the APC caucus in Benue had suggested Dickson Akoh as running mate to Jime, who recently picked the party’s ticket. Akoh is the National Commandant of the Peace Corps of Nigeria and a renouned philantropist. Jime, the current Managing Director of Nigeria Export Processing Zone Authority (NEPZA), is expected to pick his deputy from the Benue South senatorial district; either of Idoma or Igede extraction. It was gathered that the APC caucus in Benue South had suggested four chieftains of the party as Jime’s running mate. Among those penned down for the number two job were: Dickson Akoh of the Peace Corps of Nigeria, Daniel Onjeh, BoT chairman, Project Development Institute, Nelson Alapa, former Minority Whip of the House of Representatives and Samuel Odeh, former Minister of Niger Delta Affairs. A source in the camp of the APC hinted this reporter that some top shots of the party in Benue South were behind Akoh, and they believe that his goodwill is a selling point. According to the source, the APC caucus believes that Akoh’s popularity and goodwill back home would get bloc votes for Jime in 2019. However, George Akume, leader of the party in Benue is said to be favouring Ode for the deputy governorship seat. Ode’s mum is said to be a native of Tiv speaking community in Benue State. Meanwhile, leaders of the party from Igede community have insisted that the next deputy governor of the state must come from Oju, stressing that the immediate past governor of the state, Gabriel Suswam, was deputized by Steve Lawani, a native of Otukpa. Meanwhile, the APC National chairman, Oshiomohole, was said to have kicked against Akoh’s choice. “Oshiomohole does not want Akoh, he said they should go for Alapa or Daniel Onjeh but the Idoma leaders want Akoh while Akume wants Ode. So, there is serious crisis in the party as we speak. “In fact, Oshiomhole pointedly told them to forget about Akoh. Some of them have threatened to leave the party if they impose anybody on them,” the source added. “For the Igede people, they also want the deputy governorship slot zoned to Oju because the former deputy governor of the state, Lawani is of the Idoma extraction. Also, the late Prince Ogiri Ajene, who deputized Akume hailed from Adum East in Obi Local Government Area of the state. “Osho Baba insisted on Onjeh because he doesn’t want him to go to court over the outcome of the last senatorial primary election of the party where he lost to Lawani. “But Akume is also insisting that Sam Odeh should be picked. “There is a brewing war that might implode our party,” the source told DAILY POST. Reacting to the development, the Publicity Director of the party in Benue, Apeh Peterhot, insisted that there was no crisis in the APC. According to Apeh, all the people suggested were qualified to deputize Jime. “Well, there is no crisis in the APC. We are one family and such a thing cannot tear us apart. Akoh is qualified and has truly paid his dues and I think he is fit for the job. “So also every other person.